Raw and unprocessed clay is found in the central plateau region in Haiti. Papillon artisans process this clay in house, by hand and our bead makers hand roll the beads to serve as the basis for most of our jewelry. 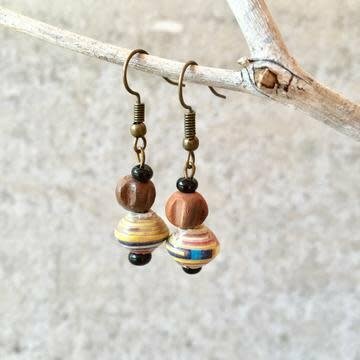 The clay beads are accented with hand rolled paper beads. Unique books, gifts, seeds and plants from the ECHO Global Farm.